2. Seal the pumps with material tungsten carbide which is new, tough and corrosion resistant. All the same time we seal up the pumps with double-end, make it working in the oil chamber with long time safely, at least more than 8, 000 hours. Business Description: Our company was established in year 1990, it is a professional manufacturer of submersible electric pump. We have accumulated experience from 30 years; our company has Independent research and development capabilities and a superior team with high quantity and responsibility. Our main products have 6 series: 125QJ, 150QJ, 175QJ, 200QJ, 250QJ, 300QJ and more than 400 specifications submersible electric pump. The traffic is 5--240 tons/h, the distance is 10--900 meters. 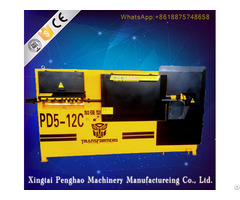 In these years, our company has cooperated with Shanghai Electric Machinery Research Institute, Jiangsu University, Northwestern Polytechnic University and Hebei Machinery Design Institute, we jointly developed and researched. Motor and the main part of pump were used the most advanced energy-saving motor and head part of pump in domestic, the features are design advanced, structure reasonable, safe and reliable and saving energy. Our products have exported to more than 100 towns and area, in 3 countries, Mid-east, South-east Asia, has obtained the extensive praise. Resent years, our company has approved by ISO9001.